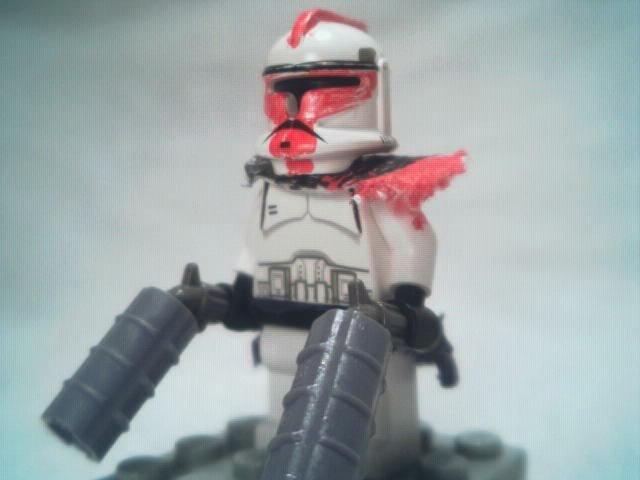 I don't normally make custom figs, and when I do, they're not normally Star Wars. But ARC Troopers are the cooles dudes ever. Period. And Grievous was inspired by Episode 21 and 22 of the Clone Wars. I don't like his head, but I like my arm solution. i like them. good job. i agree with the arm solution on Greivious. Thanks for the comments! 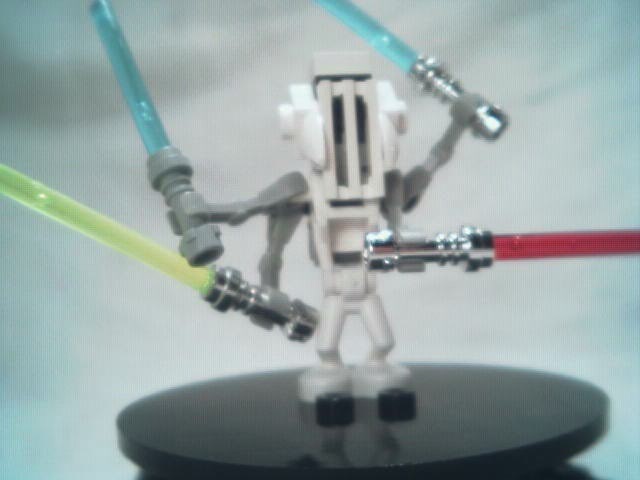 I had used a quadraped design like that on a bot a long time ago, and thought it would work great for Grievous. Anyone else have criticizm or comments? I think Greivous is a tad short. I expected him to be taller than that, at least going on the Clone Wars cartoon. However, the features are really good, so great job. Better than my first version, I must say. Mine was just a minifig. The Grevious is very good. I like how you used the different legs than the ones LEGO used (the common droid ones). The head looks very creative and I like the way he's holding the sabers. The ARC is a great WIP. I like the helmet and how accurate it is with the paint and all. The guns are new and orginal too. I can't believe I never thought of that solution seeing as I have a bunch of the pieces from the Technic Star Wars sets.